A great starter home or vacation getaway at an affordable price! The location is a nice corner lot and just up the road from scenic Rt 112 aka Kancamagus Highway. Minutes to the Covered Bridge and Big Eddy&apos;s swimming hole. 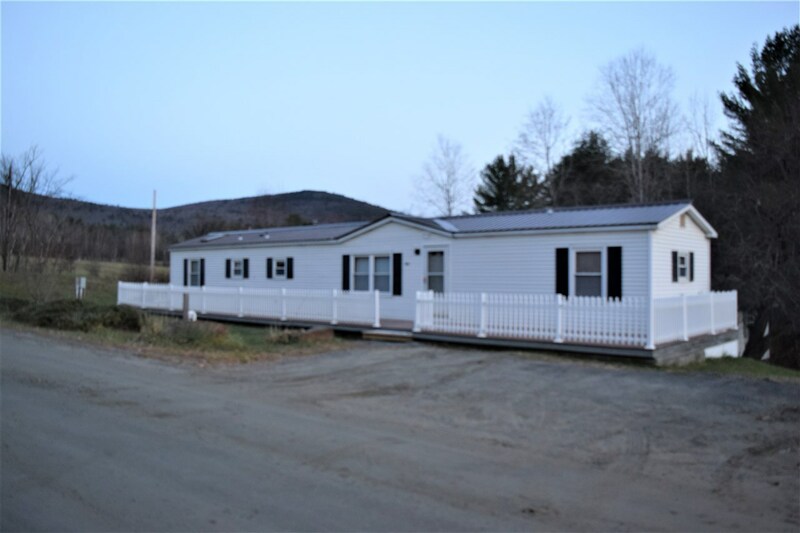 Easy commute via I-91 and I-93 depending on which direction you are coming from.This manufactured home boasts a brand new metal roof, recently pumped septic system and a more recent system, 2 new toilets being installed now, recent fridge and dishwasher, and new vanity in one of the bathrooms! Also, this home has easy care Rhino decking that wraps around both sides of the home and freshly power washed vinyl siding for a nice clean curb appeal. The kitchen has lots of cabinets, an island and an open floor to the living room. A pleasant 3 bedroom and 1 full and a half bath home with frontage on 2 roads with yard space awaits! Beautiful country setting location with local mountain views from the road and an easy commute to I-91 and I-93 N. Minutes from Rt 112 aka Kancamagus Highway if you want a more scenic drive. Plenty of 4 seasons recreational activities nearby. Minor cosmetic items and updates to make this your own! Manufactured housing financing available for this home!